There is no movie, commercial, or video game that can be considered high-quality without a professional audio engineer. It’s the audio, music, and sound effects that truly tie a project together — setting the mood, the scene and the emotion. 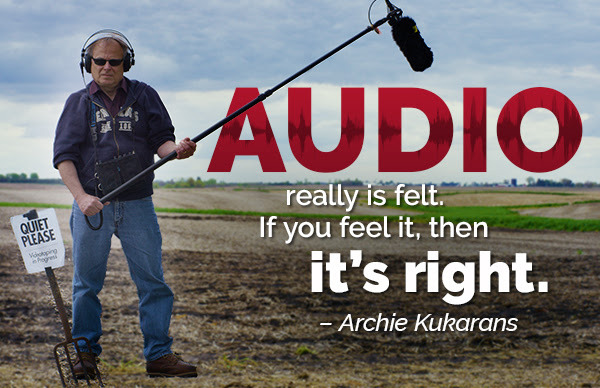 At Silver Oaks, we’re lucky to have one of the best audio engineers in the midwest, Archie Kukarans. With over 25 years of experience, Archie has the tools to make any project come to life. From interactives and games, to commercials and documentaries, audio is one of the most important elements that often goes unnoticed. And editing sound is surprisingly time consuming. From taking out breaths and passing car sounds, to making sure the sound of crunching leaves is just right, Archie puts time and creative energy into every project he touches. So the next time you’re moved by the dramatic music in movie, wow’d by the booming voice of an announcer, or shocked by the blast of an explosion– thank a sound engineer, like Silver Oaks’ own Archie Kukarans, our go-to guy for audio.